Technology is AWESOME. I love that moment where it becomes SO easy for just about anyone to capture things we couldn’t even fathom/experience fully without it… like all these tiny everything-proofed action cams that are becoming more and more easily available and create incredible imagery/video ultimately reminding us how amazing humans are… or mounted to things like RC flying magines to create incredible aerial flyover vids of Venice Beach. Why tradeoff between living the action and capturing it on camera? 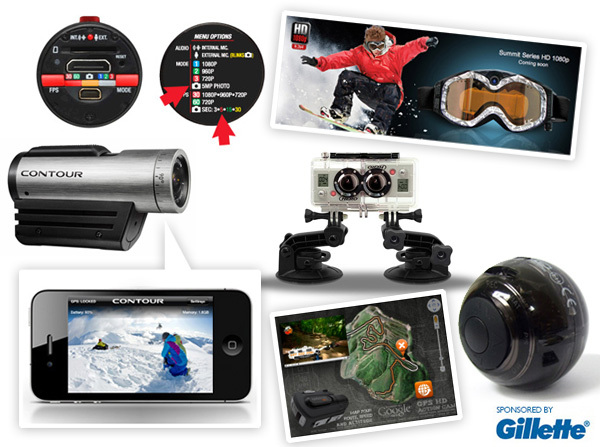 With these Mini HD action cams, you can capture and even stream your activities live and in HD. There’s something for surfers, divers, cyclists, drivers, and just about any other use if you get creative! Whatever your activity, they make a mount for it and a housing tough enough to withstand it. So grab a cam, a mount and get out there! See some of our most enticing finds on the next page! GoPro make a pretty comprehensive range of wearable digital cameras and accessories. You can see my unbox of it here and a peek at my Bentley Malibu/LA test drive time lapsed from it! 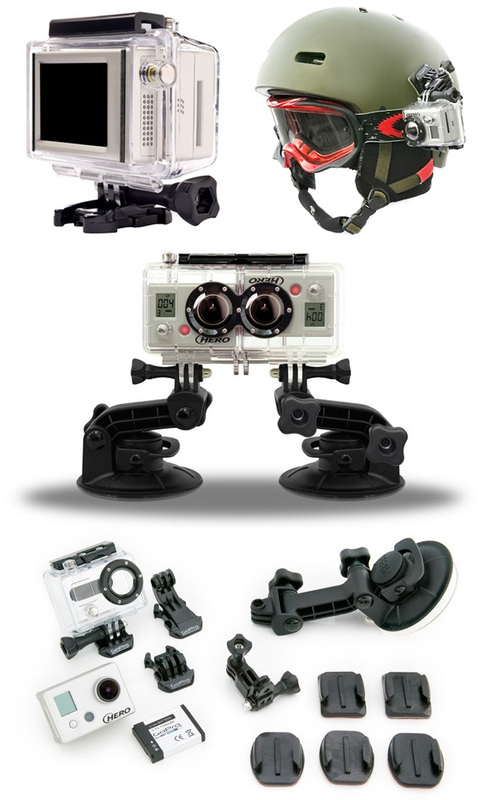 Featured here are the LCD bacpac accessory (top left) and the HD Helmet Hero (top right), which can record record at 30 and 60 frames per second. GoPro also have the capability for 3D recording, using two cameras through the 3D Hero System (middle). 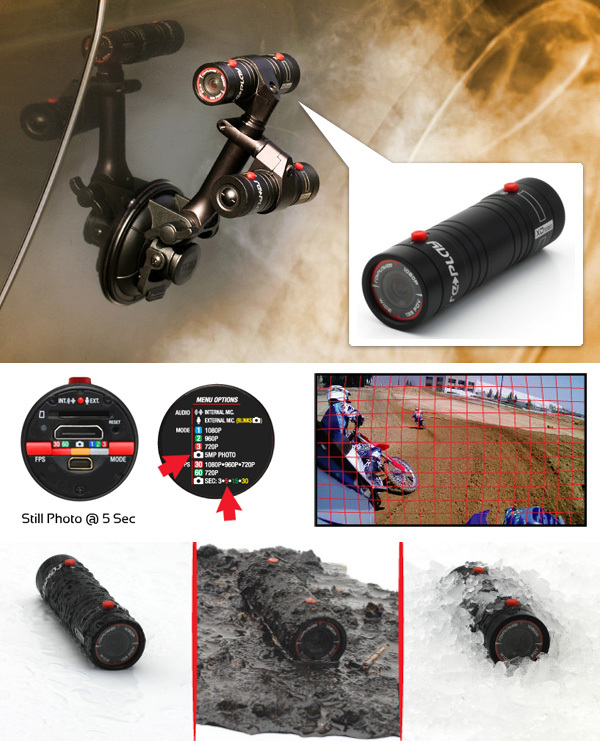 They also make a wide range of mounts to suit your needs, including surf mounts, writs mounts and even have a dedicated motorsports camera with the HD Motorsports Hero that can capture your drive with automatic 5MP time lapse photos at 2/5/10/30 and 60 second intervals. Contour also have some great options. This is the Contour+ that carries the largest lens of any PoV camera, giving it an 2.8” aperture. 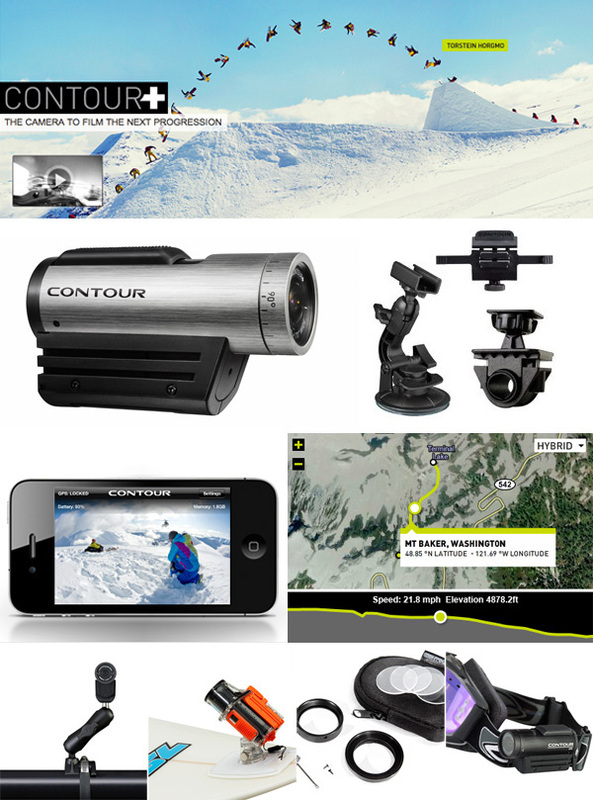 The Contour+ can be used together with Contour’s comprehensive accessories collection which include the roll bar mount, surf wake mount, lens kit, and goggle strap mount. Replay bring us the Replay XD1080 Video camera System, which is a small unit housed in a water-resistant, hard anodized, rugged aluminum housing that should be able to withstand a beating during your outdoor adventures. This little cam can also stream full 1080P HD through the built-in HDMI out connector. 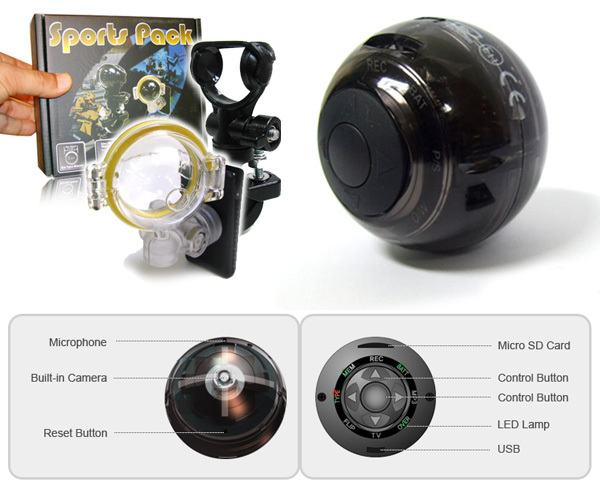 For something a little different, there is the Camball from Starnex, advertised as the world’s smallest wearable camcorder, it is just the size of a golf ball, yet offers 2.5 hours of continuous recording and can be hooked up with the sports, vehicle, or surveillance accessory pack. We’ve featured the designs of Liquid Image here before, but this brand has plenty to offer with their goggle-incorporated cams. For capturing your action underwater, check out the Explorer series that eliminates the need to carry an underwater camera. 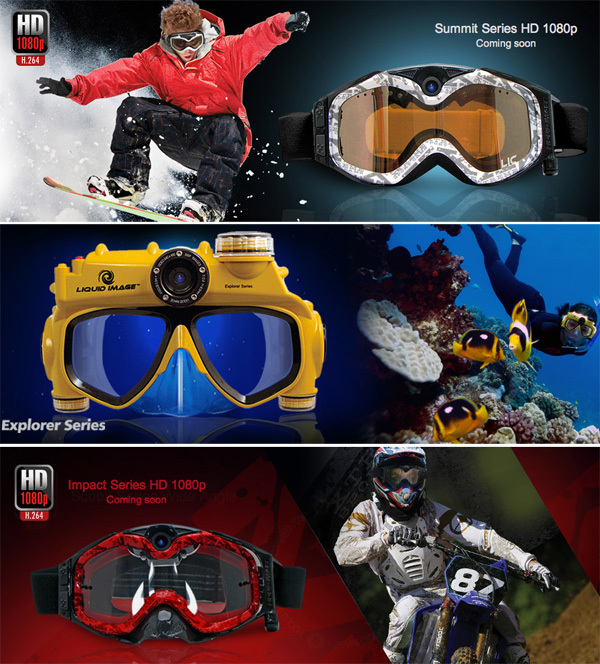 Their range is set to expand with new HD 1080p editions, including the Summit Series HD 1080 and Impact Series HD 1080. 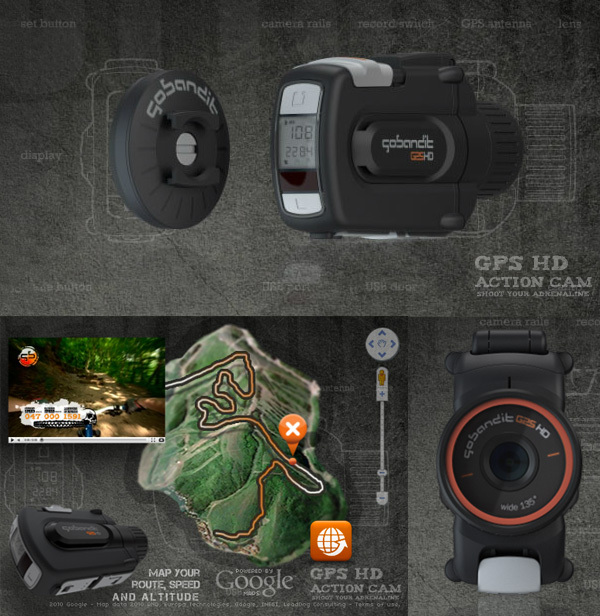 GoBandit make the 3D GPS Action Cam that combines a great HD cam with a 20-channel low power SiRFStarIII GPS receiver. This tough, waterproof cam can also be used with a range of mount types to capture your adventures. So Nice blog.I like Your Blog.Thanks For Sharing so much interesting information about Mini HD Action Cam.The pictures you share is so attractive.thanks Again……….. I use a little Vehmo Muvi. The resolution isn’t that impressive - 640x480 but it’s small and has an aluminum case - It’s solid enough that I put it in model rockets and my daughter and I launch it over Vegas. Here is a link to the video if you’re interested.